Astrakhan. Russia. 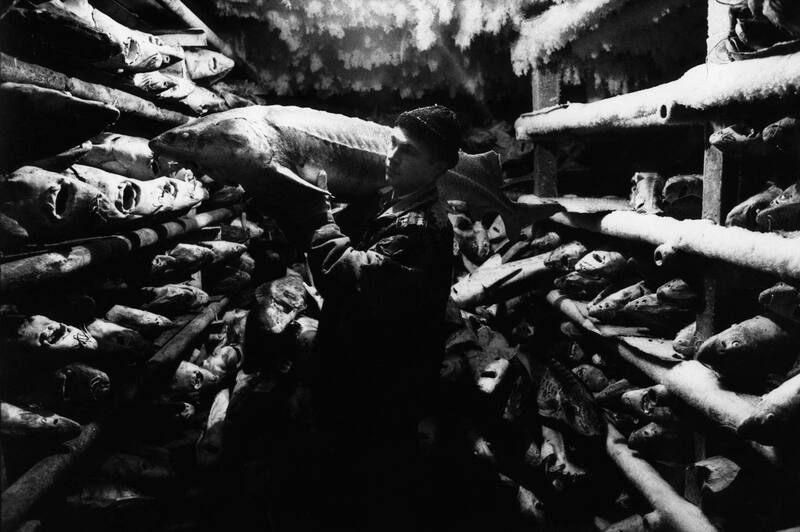 1999 A worker in the ice room that stores sturgeon in an official caviar plant near Astrakhan in Soutern Russia.